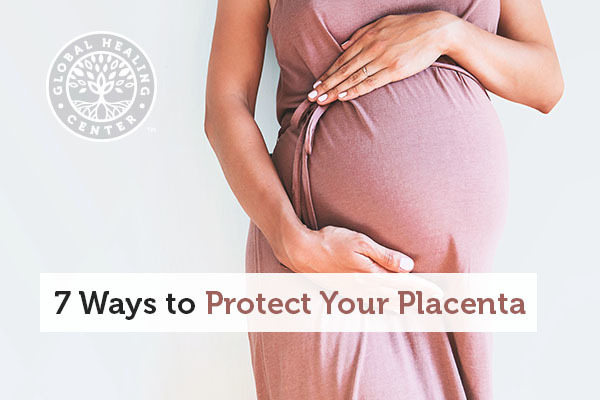 Women who are pregnant or thinking of becoming pregnant hear a lot about things they can do to help their baby, but not so much about how to encourage the health of their placenta. Considering that the placenta is the buffer between mom and baby, this would seem like important information. Placenta health is just as important to the health of your baby as taking prenatal vitamins, getting enough rest, and avoiding things like caffeine and cigarettes. 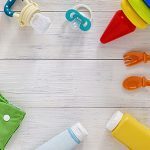 Many women unknowingly endanger their unborn babies by exposing themselves to a variety of toxins – and this includes everything. Endocrine disrupters, toxic metals, harmful organisms, you name it. And much of the time these toxins are hidden, it's not like pregnant women are out there actively seeking out a big dose of perchlorate. 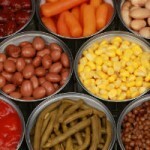 But even things as mundane as receipt paper can contain dangerous chemicals like BPA. Many things we use every day contain toxic flame retardants that pose threats to us and our children. Fire safety is always a top priority, but should we value that over near-constant exposure to toxins that affect neurological development? With these kinds of threats almost completely ubiquitous in everyday life, taking precaution to safeguard your unborn child against flame retardants is even more important. Common sources of flame retardants are furniture, clothing, and car seats. The placenta acts as gateway and all kinds of bacteria are able to traverse that gateway. Unfortunately, we can now add the bacteria that causes Lyme disease to that list. A woman lived with undiagnosed Lyme disease for over three decades and gave birth to her daughter whilst affected by the disease. Her daughter has had a host of issues all her life due to this undiagnosed disease she obtained while in the womb of her mother. Some people might be wary of antibacterial soaps because of the fact that they kill bad bacteria, but they also kill the good bacteria, too. Now there is another reason to avoid antibacterial soap: triclosan. Triclosan is an ingredient used in antibacterial soaps that have seen a lot of press in recent years. The FDA had this to say on the matter: “Further, some data suggest that long-term exposure to certain active ingredients used in antibacterial products could pose health risks, such as bacterial resistance or hormonal effects.”  While they also say that it is “not known to cause hazardous effects,” the long-term effects of triclosan exposure could be devastating, especially for a newborn baby. Many studies are now being conducted to discern how much effect the microbiome of the placenta can have on the baby. Once thought sterile, new evidence has shed light on the placenta and the bacteria that inhabit it. According to research, the amount of harmful toxins and bacteria pregnant women are exposed to will affect the overall health of the placenta and the overall health of the baby. A probiotic supplement is a great way to promote gut flora balance. More than half a century ago, Minamata, Japan, was devastatingly affected by a severe mercury leak. In 1956, there had been documented cases of a strange illness that befell people and animals in the town. Because of the way it made the cats who contracted it twitch, many called it “The Dancing Disease.” It was only later that scientists discovered that the mercury leak caused increases in neurological issues and even many cases of cerebral palsy, especially as a congenital disease for children born in or around 1956 in the town. In order to avoid mercury during pregnancy, don’t consume fish or high-fructose corn syrup, and do not receive any mercury amalgams. Grady, Denise. Study sees bigger role for placenta in newborn’s health. New York Times. 2014. Vandenburg, Lara and Wendy Hessler. BPA crosses the placenta, remains active in the fetus, show rat and human studies. Environmental Health News. 2010. EHN staff. 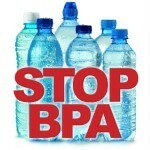 New study suggests ‘universal fetal exposure’ to BPA. Environmental Health News. 2013. Alderman, Nancy. Forum: Risk from flame retardant exposure often outweighs risk from fire. Middletown Press. 2015. Lavelle, Marianne. Catching Lyme disease in the womb? Daily Climate. 2014. Howard, Brian Clark. Avoid antibacterial soaps, say consumer advocate. National Geographic. 2013. Biospace.com. Placenta Harbors Harmful Bacteria, May Impact Fetal Health, Baylor College of Medicine Study. Biospace.com. 2014. Nierenberg, Cari. How environmental toxins harm women’s reproductive health. Live Science. 2013. Kessler, Rebecca. The Minamata Convention on mercury: A first step toward protecting future generations. Environmental Health Perspectives. 2013. Fitzgerald, Susan. Crack baby’ study ends with unexpected, but clear result. Phill.com. 2013.